Tanzanite 2AB 5328 Bicone Swarovski Crystal Beads 4mm. 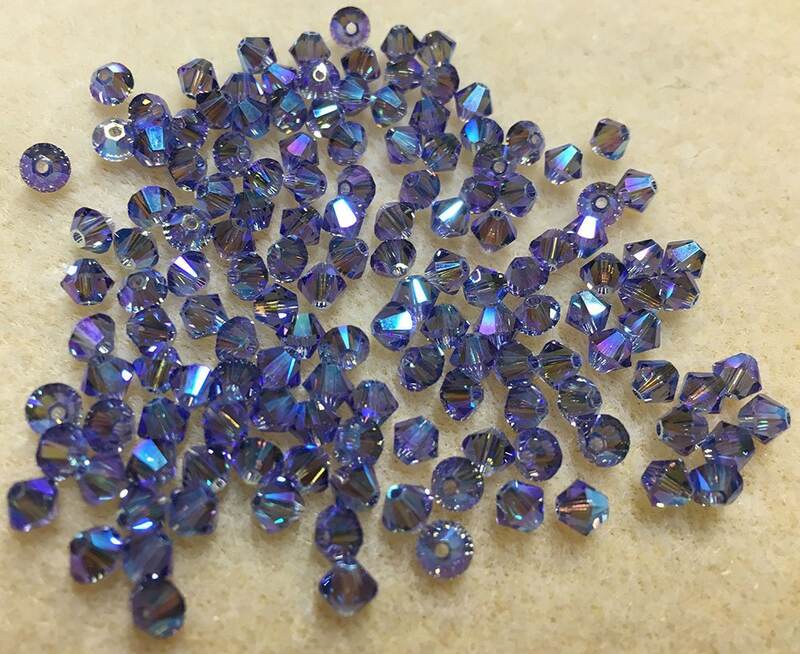 Bag of 24 Tanzanite 2AB 5328 bicone shaped Swarovski crystals measuring 4mm. Hole: .8mm; Maximum wire gauge: 20 ga.
Visit me on Facebook at: http://www.facebook.com/southpassbeads.